The result of years of selection and testing, Renaissance Reflection has proven to be a vigorous, rapid growing, white barked birch. The habit is pyramidal with dark green leaves and slightly exfoliating white bark. The fall color is a pleasing yellow. Plant in full sun to light shade in moist, well drained soil. Is adaptable to alkaline or acid soil and a wide range of soil types. Provide adequate moisture during dry periods. 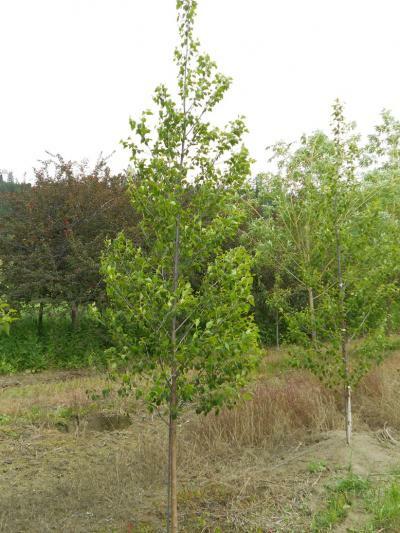 A selection from test plots containing hybrids of known bronze birch borer resistant parents.